The Glynne Arms is a 200 year old traditional coaching inn which has undergone a complete restoration inside and out, bringing it back to life. 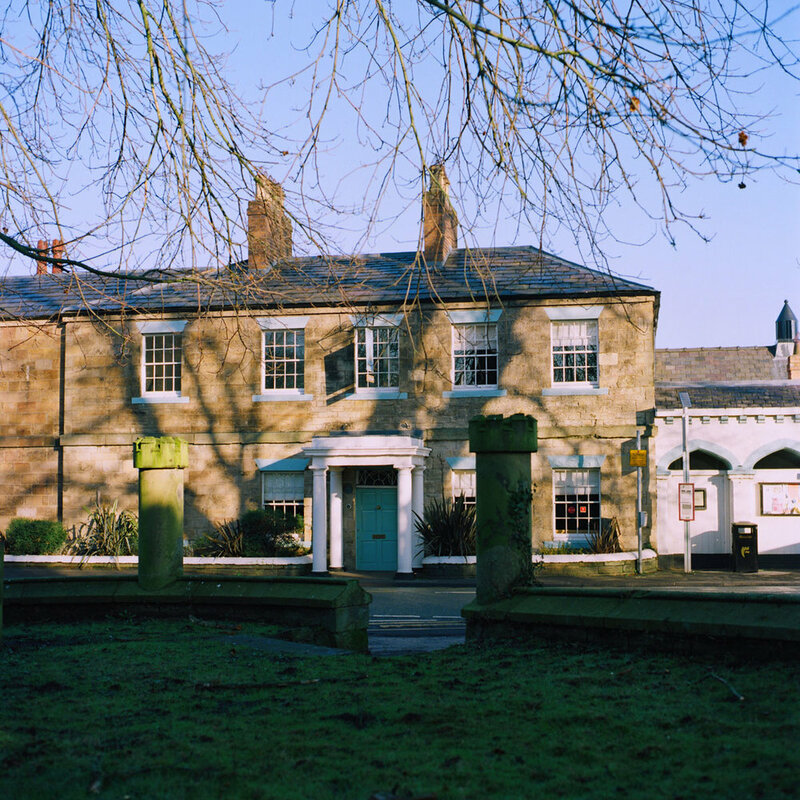 Its philosophy is simple; to provide a warm, relaxed pub environment and excellent food in the restaurant. Visitors receive a warm welcome at all times, whether for a quick drink, a morning coffee, a meal or our twice-monthly pub quiz… and dogs are positively encouraged. The Glynne Arms follows in the footprint of the Farm Shop: so we start at the farm, for all our fresh fruit and vegetables. The butchery at the Farm Shop handles meat, sausages, poultry and game for The Glynne Arms, much of which is also raised on Hawarden Estate farms. Local Welsh and Cheshire-based businesses which supply tasty food and drink to the Farm Shop also make special editions for The Glynne. This includes producers of relishes, jams, chutney, jellies, juices, ales, cake and chocolate. The pub sources from national food heroes who produce the best in their field: Manx kippers, Somerset cider, Scottish black pudding and haggis, and many more. OPENING TIMES: 11am-11pm (midnight on Friday and Saturdays). 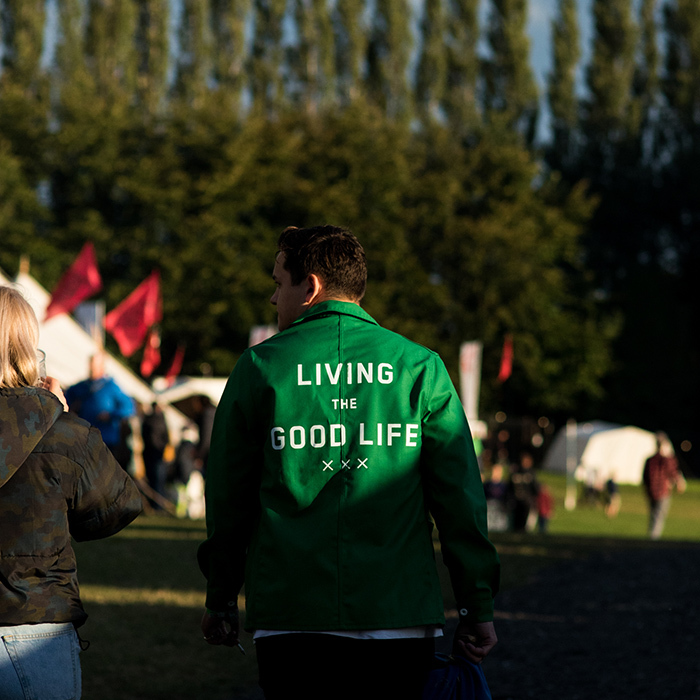 In 2018 The Good Life Experience will celebrate its fifth Birthday and it's going to be one heck of a party! Taking place in the shadow of two castles on the Hawarden Estate, the festival is absolutely unique. Founded by four friends –BBC 6 Music's Cerys Matthews MBE, Steve Abbott and Charlie and Caroline Gladstone- if it fits in with their idea of The Good Life, it features at the festival. Expect raucous music from all over the world curated by Cerys, axe throwing, foraging, campfire cooking sessions with world class chefs, daily feasts, wild children, mass sing-a-longs, over 40 expert craftspeople, beer served by experts, talks by explorers, abseiling, a free 1930s fairground, tree climbing, poetry, literature and endless How To… talks. And everything is aimed at adults and children alike; there aren’t many festivals that truly do that. Under 12s go free | Dogs welcome | 15 minutes from Chester. Early Bird Tickets available here and further 10% Locals' Discount available when you buy your tickets in person at the Farm Shop, The Glynne Arms or the Broughton Park Café + General Store. Hawarden Castle Cricket Pavilion was built in the 1920s on what has often been described as ‘Wales’ most beautiful cricket pitch’. With its views of two castles and set in rolling listed parkland it’s easy to understand why the pitch was so loved by the Hawarden’s cricketers, but in 2016 the club moved to a new site half a mile away. The Pavilion has now been beautifully renovated to become one of Wales’ most unusual and beautiful events venues. With two large events rooms, amazing views, full access to 2.75 acres of cricket pitch, a fully-equipped kitchen, a separate bar in the score hut and brilliant showers and loos the venue is available for hire. Please contact vicky@hawardenestate.co.uk for further information. Pedlars has been selling wonderful homewares, bags, stationery and gifts for over 20 years. Our varied stock ranges from pieces produced here in Britain to vintage items from across the globe. We’re interested in products with stories to tell, with patina, history and a good dose of warmth and fun. Pedlars Vintage Marketplace is the best virtual flea market in Britain. Our hand-picked community of Vintage dealers and enthusiasts take to the Marketplace to showcase their wares, with great fresh Vintage added daily. It's a little bit like a smaller, beautifully curated, exciting and aesthetically pleasing eBay focused on genuine Vintage. Our general store and café is based in Notting Hill, just off Portobello Road. We offer a curated, considered and beautifully designed range of homewares, stationery and gifts. Our brand new café menu includes a variety of sandwiches and salads made fresh every day, as well as homemade cold and hot drinks, cakes and more. In The Mavericks Podcast, Farm Shop owner Charlie Gladstone talks to people who have swum against the tide and done something truly unusual and inspiring. From famous comedians to chefs to authors and campaigners, this is about doers and creators. There's no agenda; just conversations with people that will, we hope, interest you. You can listen on iTunes, Acast or Soundcloud, and if you have a moment, please do rate, review and subscribe, it does help!